*Express and International Delivery available at checkout. 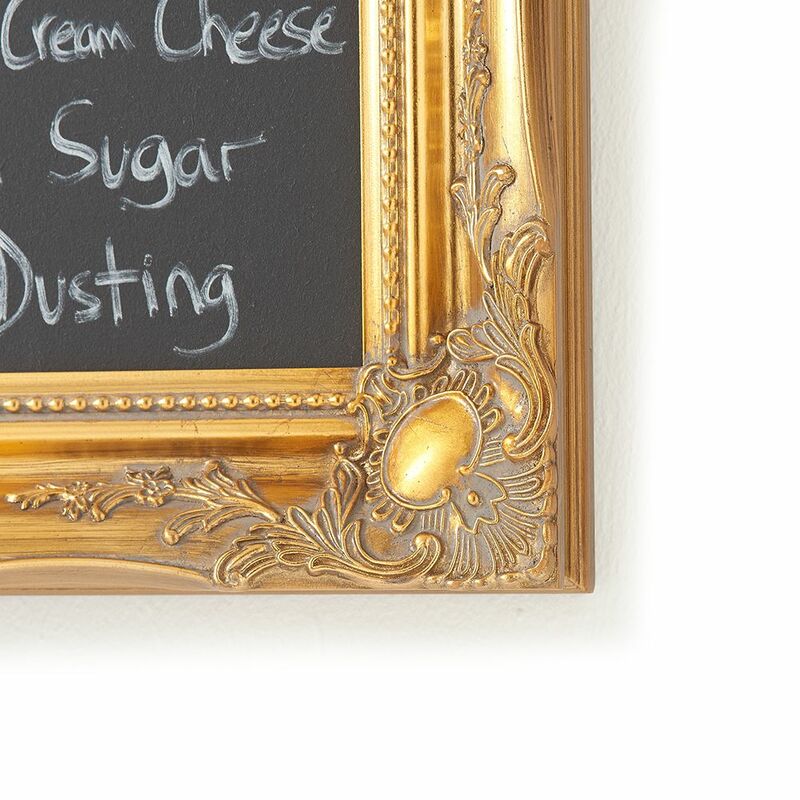 These lovely ornate wooden frames are usually used for works of art, but we've turned them into blackboards. Small approx: 50cm x 40cm (blackboard size 40cm x 30cm). Medium approx: 60cm x 50cm (blackboard size 50cm x 40cm). Medium Chunky approx (3 in frame): 65cm x 55cm (blackboard size 50cm x 40cm). 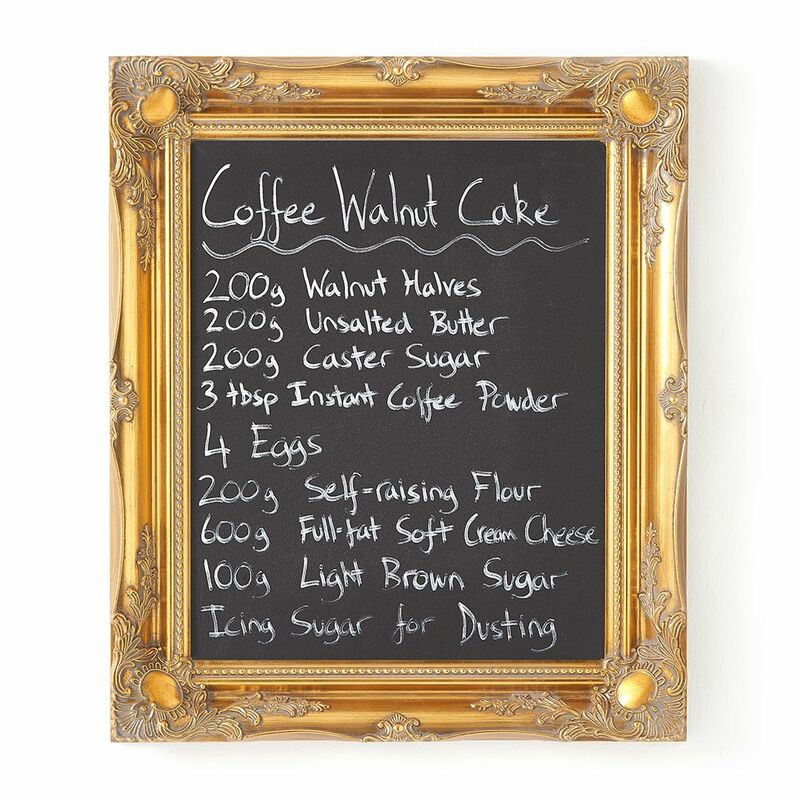 Large Chunky approx (3in frame): 75cm x 65cm (blackboard size 60cm x 50cm). XL Chunky approx: 90cm x 65cm (blackboard size 75cm x 50cm). horsfall & wright is a gift and home accessories shop specialising in lighting, noticeboards and chalkboards. We began life with a physical shop in East London and are now online only and based in sunny Brighton.